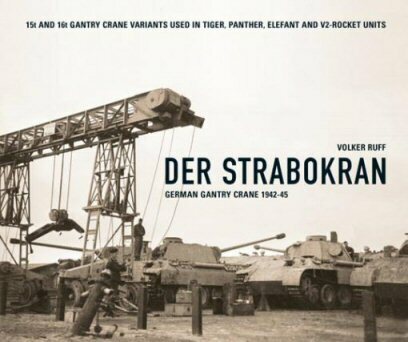 Military History Books, DER STRABOKRAN: GERMAN GANTRY CRANE 1942-45,Volker Ruff via PanzerWrecks,ISBN 9783000340024A4,(V2) rockets,‘Vidalwagen’ and ‘Meillerwagen’ launch trailers, GUNPOWER 35: HALF-TRACK VOL. 2,Patryk Janda,A. J. 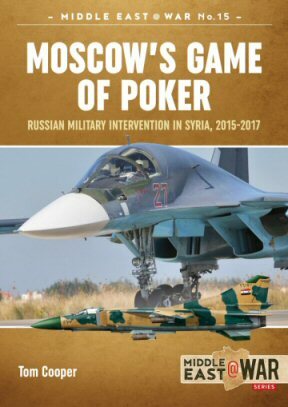 Press, Poland,ISBN 9788372372215, MOSCOW'S GAME OF POKER: RUSSIAN MILITARY INTERVENTION IN SYRIA, 2015-2017,Tom Cooper,Helion,ISBN 9781912390373, ETHIOPIAN-ERITREAN WARS, VOLUME 2: ERITREAN WAR OF INDEPENDENCE, 1988-1991 & BADME WAR, 1998-2001,Adrien Fontanellaz,Tom Cooper,Helion,ISBN 9781912390304, EURO MODELISMO: SCULPTING & BODY LANGUAGE,Mike Blank,Accion Press SA,ISBN 849546442X. Road gantry cranes were indispensable for maintaining Tiger and Panther heavy tanks and Elefant tank hunter near the front line. An exceptional use for the gantry crane was from 1944 onward with the Division z.V. for loading and unloading of delivered A4 (V2) rockets onto ‘Vidalwagen’ and ‘Meillerwagen’ launch trailers. This book documents the crane’s development history and includes patent applications, descriptions of its use in action with the Panzer-Werkstattkompanien, engineering units and Division z.V. With drawings and close-up pictures, including photos showing the removal and replacement of a Panzer turret, plus a comparison of 15t and 16t Strabokran. Also included for modellers a detailed set of drawings of all variants in 1/35 scale. 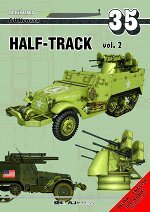 This second volume covers Weapon Carriers, vehicles which didn't go into mass production and general war service of Half-Tracks. Half-Tracks were used by the US Army and USMC, as well as the other major Allies in all theaters and there are extensive descriptions and illustrations of such operations. The book also covers post war service in the Middle East and Korea. Camouflage and markings are shown in 12 colour plates and available scale models and accessories are listed. 34 pages of 3D colour graphics and colour photographs of museum exhibits and currently operational, restored vehicles round of this impressive volume. Russian Military Intervention in Syria, 2015-2017. In August 2015, the government of the Russian Federation embarked its military forces on an intervention in Syria. Their performance in this war was a clear demonstration of advanced technology, improved training and fearsome firepower, but the operation only experienced limited success and exposed a number of weaknesses. Illustrated by over 130 photographs, maps and 21 colour profiles, ‘Moscow's Game of Poker’ provides a clear outline of the participants in this complex conflict, and the areas it impacts. The story is told in combination with an insight into the similar campaign run by what is left of the Syrian Arab Air Force. Ethiopia is a military powerhouse of the African continent. Currently involved in the war in neighbouring Somalia, Ethiopia was also involved in half a dozen of other armed conflicts during the last 60 years. One of the most significant was the Eritrean War of Independence. Fought 1961-1991, this was one of Africa's biggest armed conflicts , and it included a wide spectrum of operations, from classic counter-insurgency (COIN) to conventional warfare. 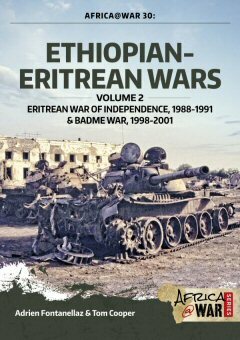 This second volume covers the military operations that led to the fall of the Derg government in Ethiopia of 1991, the period of Eritrean military build-up, and concludes with the first detailed account of the so-called Badme War, fought between Ethiopia and Eritrea in 1998-2001. The book contains over 100 contemporary photographs, maps and colour profiles. From the publishers of EuroModelismo comes this volume dealing with the sculpting, detailing and painting figure models. World renowned figure sculptor and painter Mike Blank provides guidance on materials, tools, posing, sculpting and converting figures, and the finer points of rendering cloth and mail armor. Also covers vignettes and dioramas. The book is entirely in colour and includes a full figure gallery. It has chapters on: Body Language, Expressions and Character; Ring Mail, Creases and Folds; Sculpting a Figure; Converting and Sculpting a 90mm mounted figure; Vignettes and Dioramas.